coreDS™ Python provides an elegant and cost-effective solution to connect your Python code to a HLA federation and/or DIS simulation. Since coreDS™ Python is supported by the coreDS™ technology, it supports all RTI, all HLA versions, all DIS version and PDUs. You can configuration everything at run-time using our full featured GUIs. Using our High-Level API, you need about 5 lines of Python code to turn your program into a full-featured HLA and/or DIS simulator. 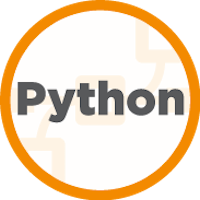 You now have the ability to use the full power of the Python programming language to interact with a HLA federation or a DIS simulation. If you want full control over your HLA and/or DIS connection, all the calls and callback have been reimplemented in Python - there are no limitations! Request a FREE trial Free 20 days trial available! You can also register for a free 1-on-1 webcast. Need a quote? Free 20 days trial available! You can also register for a free 1-on-1 webcast.